At her practice, Advanced Counseling and Assessment Services, Dr. Wise fosters a safe, secure and comfortable environment for her individual, couple and group clients. Together, she and her clients develop tailored treatments to address issues and explore opportunities to move forward toward positive living. Greatly inspired by a professor early in her college career, Dr. Wise continued through academia and earned a Doctor of Psychology from the well-respected Wheaton College in 2003. 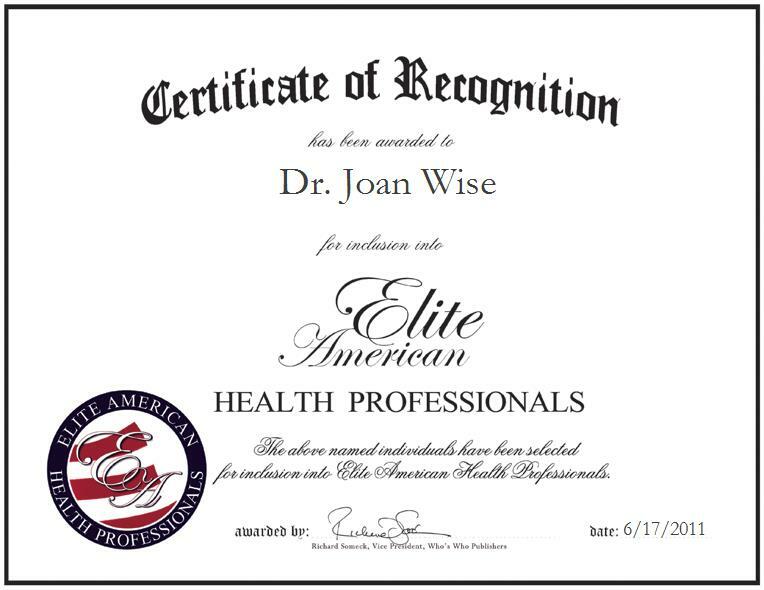 She maintains her expert knowledge through her affiliation with the American Psychological Association. Looking toward the future, Dr. Wise intends to conduct more seminars and write a book while she continues providing high-quality care to others.